I’m a proud partner of a boutique brokerage, Coldwell Banker Four Season Real Estate. We offer a unique experience where You (the customer) Choose the Commission! Buying or Selling, I will work hard to deliver the results you expect! Contact me today and I will share with you my recipe for success. 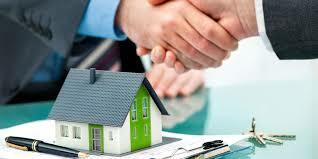 The two most important aspects of a Real Estate agent are the marketing of the home and the negotiation of the sale. My education and experience is a perfect match for these activities. I have received a Bachelor’s degree in Marketing as well as a professional degree in Law. Prior to my real estate career, I owned and operated an award winning home services franchise. As a long time Vernon local, I know the ins and outs of the area. I enjoy living and selling the Okanagan Lifestyle; Real Estate gives me a chance to help others find their own piece of paradise. As someone who also invests in the area, I would be happy to share my knowledge with you. A former competitive skier, you can find me chasing powder snow and swinging my golf clubs around the Okanagan valley in my free time. We were really appreciative of Robs service. He was patient with our process. He was willing to refine our search preferences repeatedly as needed. He went above and beyond by showing us a place on what I think was the night before Christmas. To date he has been our favourite realtor.